Ok quality food, good to go for the view & roof top lookout. 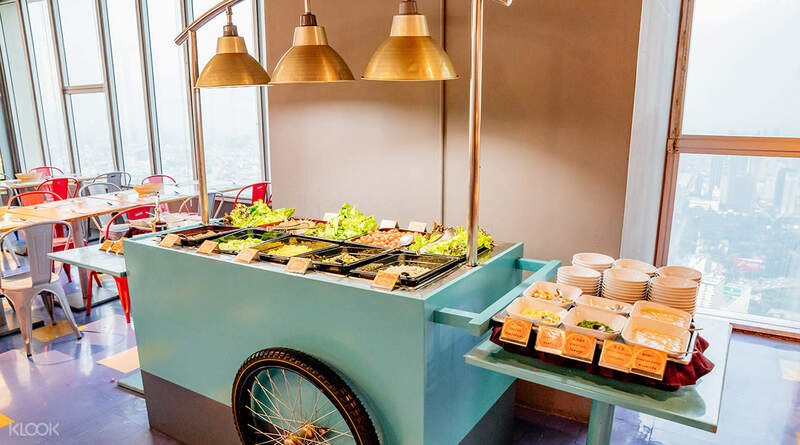 Bangkok Sky Restaurant provides an extensive seafood buffet along with a gorgeous view of the city from the giant Baiyoke Sky Hotel. 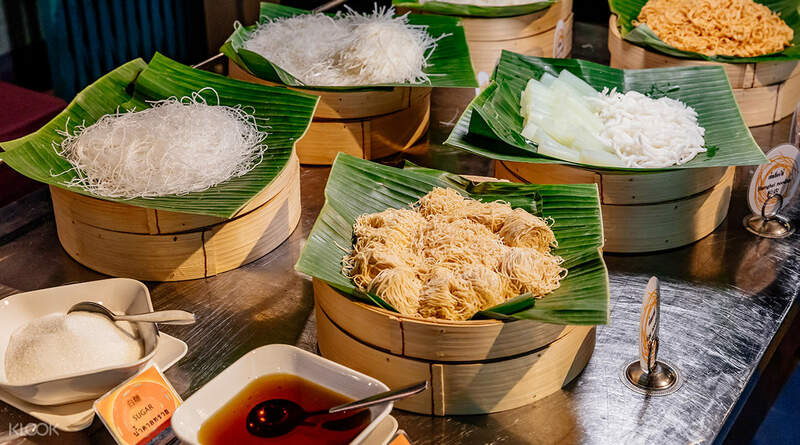 Travelers, sink your teeth into a variety of quality international foods including: seafood, Thai dishes, sushi salads, pizza, pasta, cheeses and desserts. After your meal take the elevator to the panoramic Observation Deck floor and then to the Revolving View Point with its 360-degree rotating view. 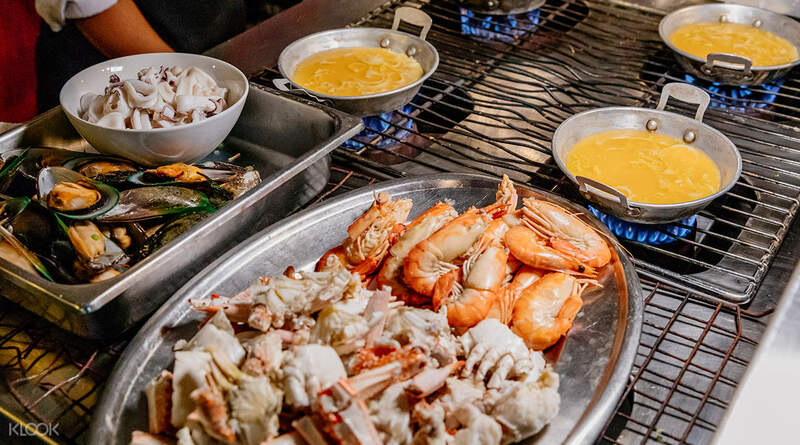 Quality seafood and an unmatchable view of Bangkok will put the cherry on top of your Thailand adventure! It's quite a buffet, so show up with an empty stomach! It was a nice dinner and with this booking, there is no need to wait for long in the queue. The food was not that great but still got different varieties The Bangkok view remains awesome and taking the lift to come down jusy rise the adrenaline. It was a nice dinner and with this booking, there is no need to wait for long in the queue. The food was not that great but still got different varieties The Bangkok view remains awesome and taking the lift to come down jusy rise the adrenaline. I booked the buffet dinner for 4 persons through klook on our last night in Bangkok. 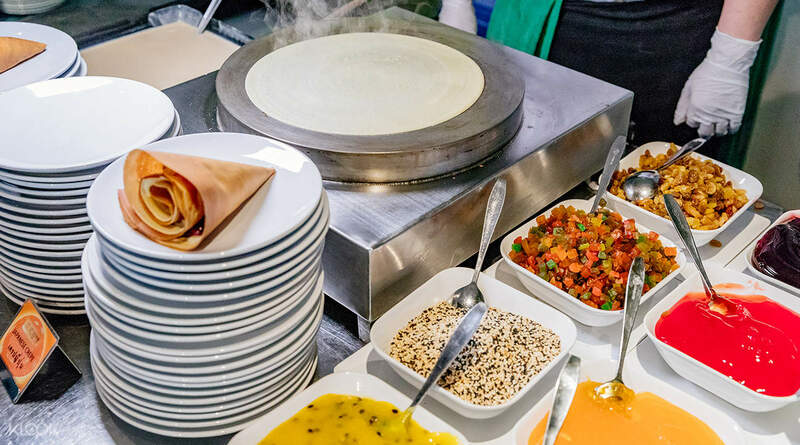 It was an international buffet type with many mix cuisines. The foods were average.The restaurant look dated and need a good refurbish. Attended the revolving observation deck at 84th floor and viewing Bangkok city from this height is really beautiful. I booked the buffet dinner for 4 persons through klook on our last night in Bangkok. 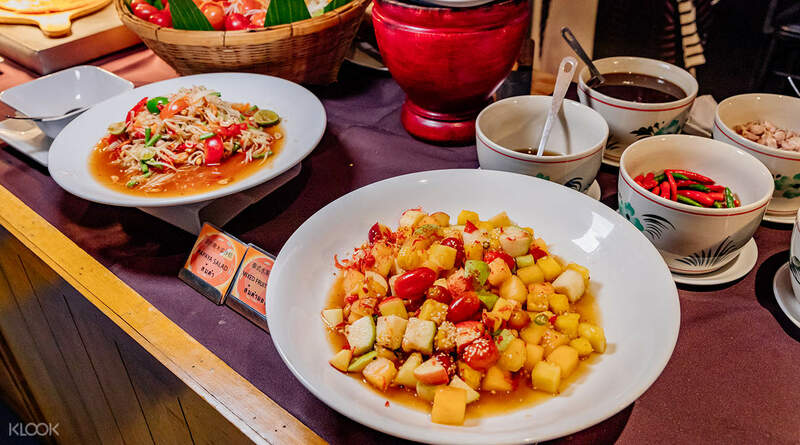 It was an international buffet type with many mix cuisines. The foods were average.The restaurant look dated and need a good refurbish. Attended the revolving observation deck at 84th floor and viewing Bangkok city from this height is really beautiful. I booked a dinner buffet for 2 on our 1st day in Bangkok. We skipped the long line since we booked via Klook. It was an easy access for me and my cousin. I booked for 5 p.m. and arrived at 530. We really had so much fun. There are wide variety of foods. We enjoyed it so much. Klook is the best. Will book again. I booked a dinner buffet for 2 on our 1st day in Bangkok. We skipped the long line since we booked via Klook. It was an easy access for me and my cousin. I booked for 5 p.m. and arrived at 530. We really had so much fun. There are wide variety of foods. We enjoyed it so much. Klook is the best. Will book again. Nice place to visit. Lunch with the beautiful view of Bangkok City.More choices of food but i only eat from Sushi corner dan dessert. Recommended place to visit in Bangkok and Klook apps make everything easier. Nice place to visit. Lunch with the beautiful view of Bangkok City.More choices of food but i only eat from Sushi corner dan dessert. Recommended place to visit in Bangkok and Klook apps make everything easier. Good experience having dinner at 78th floor. Is international buffet + some Thai local food. Is great to have nice view off Bangkok city night light. My family are enjoy the food. Will come back again with my darling next round visit Bangkok. Good experience having dinner at 78th floor. Is international buffet + some Thai local food. Is great to have nice view off Bangkok city night light. My family are enjoy the food. Will come back again with my darling next round visit Bangkok. Great food and a wiiiide variety of good dishes! A lot of seafood! Worth the money! Unlimited drinks are included. Deserts are ok! They also serve sashimi. And the view, makes the dining experience fantastic! Great food and a wiiiide variety of good dishes! A lot of seafood! Worth the money! Unlimited drinks are included. Deserts are ok! They also serve sashimi. And the view, makes the dining experience fantastic! Fantastic view of the Bangkok landscape at the restaurant. The buffet has a decent selection of food compared the similar priced deals in my county. The revolving observatory deck will also be easily reached from the restaurant. 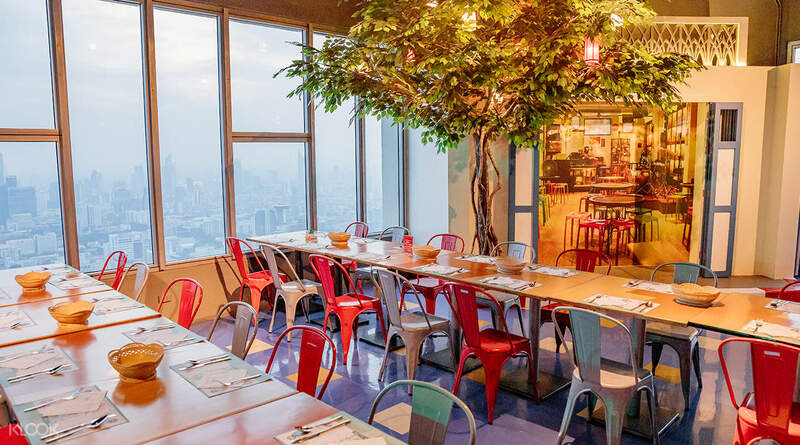 Fantastic view of the Bangkok landscape at the restaurant. The buffet has a decent selection of food compared the similar priced deals in my county. The revolving observatory deck will also be easily reached from the restaurant.